Everyone loves the look of dark, thick, long lashes. But not everyone has them or can even achieve them through mascara and eyeliner. Luckily, there are now various products available that allow people to grow eyelashes, eliminating the need for mascara or eyelash extensions. Latisse – You may have seen celebrities like Brooke Shields and Claire Danes advertising the amazing results of a product called Latisse. Latisse offers users long-lasting results with their eyelash treatment and promises full, thick lashes that won’t dry out, become brittle and fall out. Latisse was the first eyelash treatment to be approved and proven effective by the Food and Drug Administration and remains the only one. It is available by prescription only from your cosmetic enhancement professional. LiLash – LiLash is considered to be the world’s most powerful and fastest-acting eyelash conditioner. 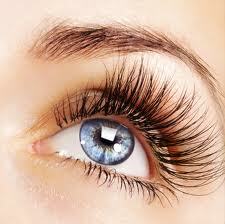 The product has been proven to lengthen lashes naturally in four to six weeks. LiLash is a non-irritating active lash conditioner that you can apply yourself. For the first four applications, you will apply one thin coat at the base of the lashes in the morning every other day. Wait two to three minutes for it to dry then apply your eye makeup and mascara as normal. After the initial applications, users can apply the product once a day for four to six weeks. Sometimes results can be seen within three to four weeks, sometimes eight to 12 weeks. LiLash promises visibly longer lashes. Once you achieve the lash length you desire, you can cut back the applications to one to three times per week to maintain that desired length. Maintenance of the product is important. Once you stop using LiLash, your lashes will grow back at their normal rate. With these two lash-enhancing products available at The SHAW Center, you can have visibly longer, thicker lashes without batting an eye.